Earlier this month, a study by three US universities concluded that the Earth has entered a new period of extinction, suggesting that humans could be among the first casualties. The report, led by Stanford, Princeton and Berkeley universities, echoed a report published by Duke University last year, and highlighted the extinction rates of vertebrates, which are disappearing at a rate 114 time faster than normal. Despite the increased rate species are disappearing all over the world, it’s not all doom and gloom. 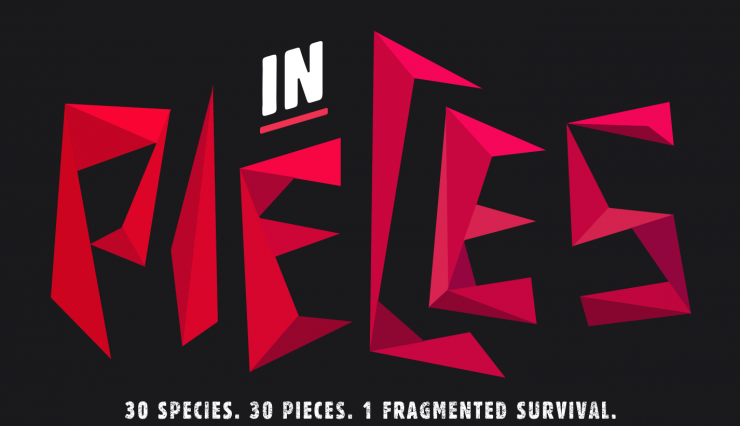 This new interactive project Species in Pieces highlights 30 critically endangered species and shares data on how groups are working to save them from extinction. Follow the link above to check out the striking CSS visualisations, or click the image below. We recommend using Google Chrome to check out the piece, as it seems to have trouble displaying correctly in some other browsers.